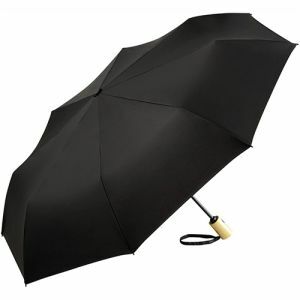 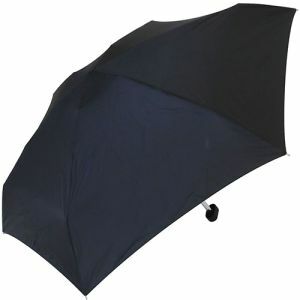 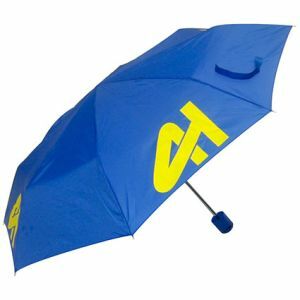 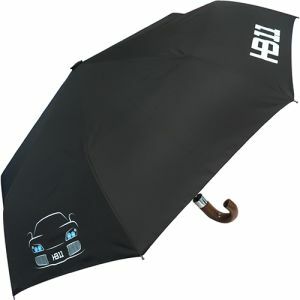 One of the most widely used umbrella types, a personalised telescopic or folding umbrella, is easily slipped into a handbag, briefcase, backpack or sports holdall and is ready to pop up and protect your customers from the wind and rain, while proudly displaying your logo on one or more of its full size panels. 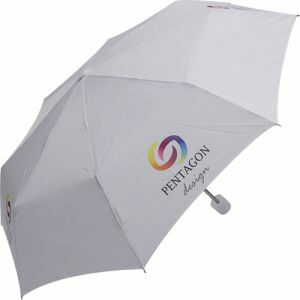 But umbrellas aren’t just useful for wet and windy days, telescopic umbrellas are handy for sunny days to prevent burning at picnics, festivals, sports or music events and keeps your logo centre stage all year round. 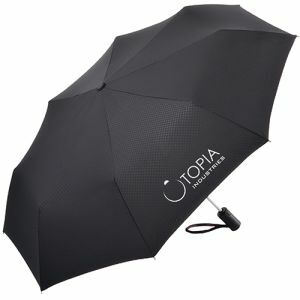 The UK is the 8th highest holder of umbrellas at nearly 2 each but as we apparently lose an average of 4.6 umbrellas each in our lifetime, a promotional telescopic umbrella will always be a popular business gift or giveaway. 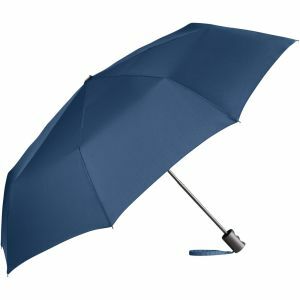 Easy to carry, slip in a bag or even a raincoat pocket, most branded telescopic umbrellas have a full size canopy to carry your message or logo, but in a handy, compact carry size. 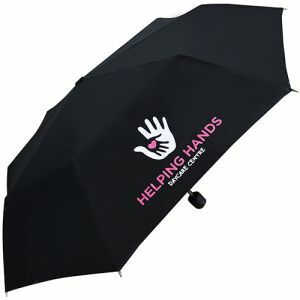 If you don’t need a big quantity, our personalised Super Mini Telescopic Umbrella has a low minimum order quantity of 10 and can be turned around in just 5 working days so if you have a small outdoor event that could be wet, we’ve got you covered. 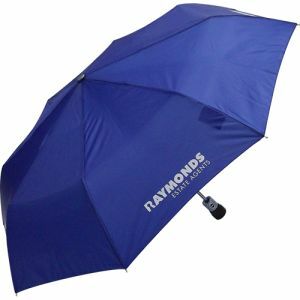 If you’ve left it late, our fastest turnaround promotional telescopic umbrella is the Express Supermini which could be with you in just 72 hours so there’s really no excuse to get caught out without a branded telescopic umbrella. 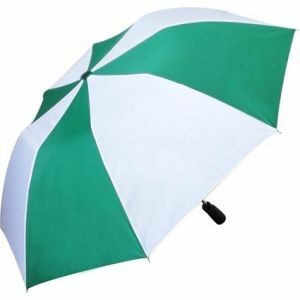 The environment and plastic pollution is a hot topic but you can do your bit to reduce plastic waste with a personalised umbrella that’s also kind to the environment; the Fare Recycled PET Mini Umbrella is made from 100% recycled plastic bottles, comes in a range of classic and fun canopy colours with a high quality windproof frame. 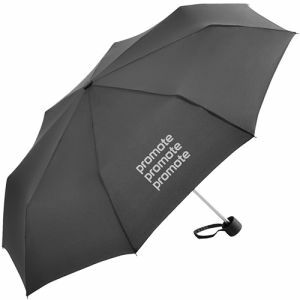 Print your logo to one or more panels safe in the knowledge that your umbrellas have eco credentials. 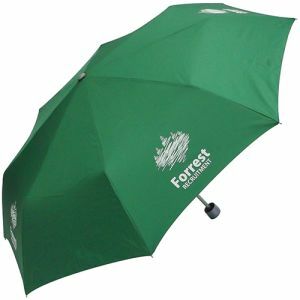 Our executive quality personalised Deluxe Woodcrook Telescopic Umbrellas are perfect for high level campaigns or giveaways, giving your brand upward mobility whatever the weather. 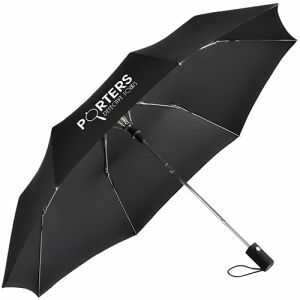 With windproof iron ribs and push button auto open/close function, it’s an executive gift with a purpose and will promote your brand at the highest levels on the way to work, a meeting or around town.